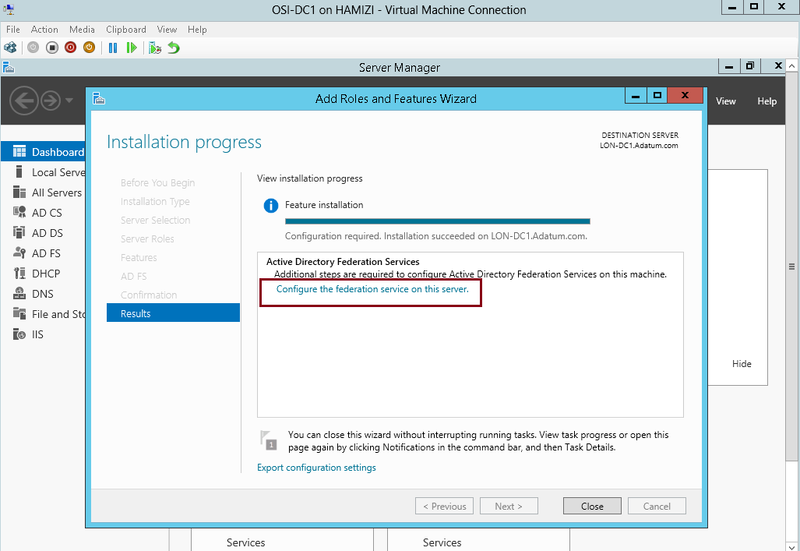 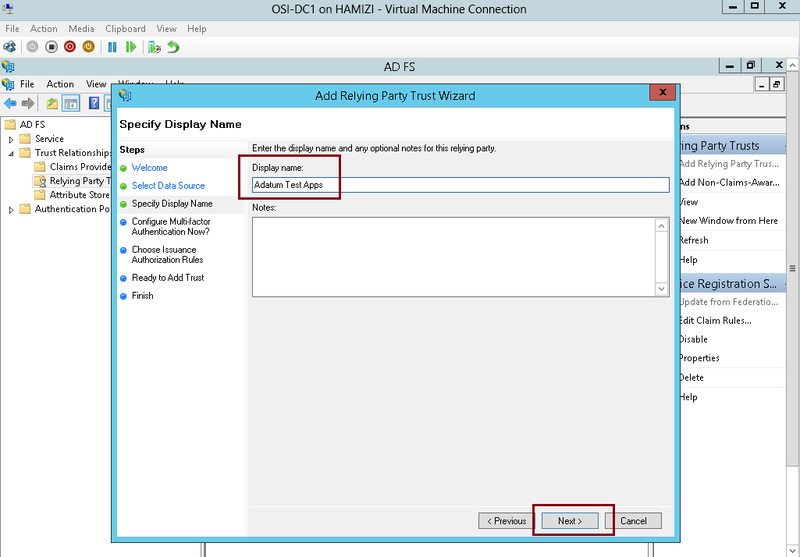 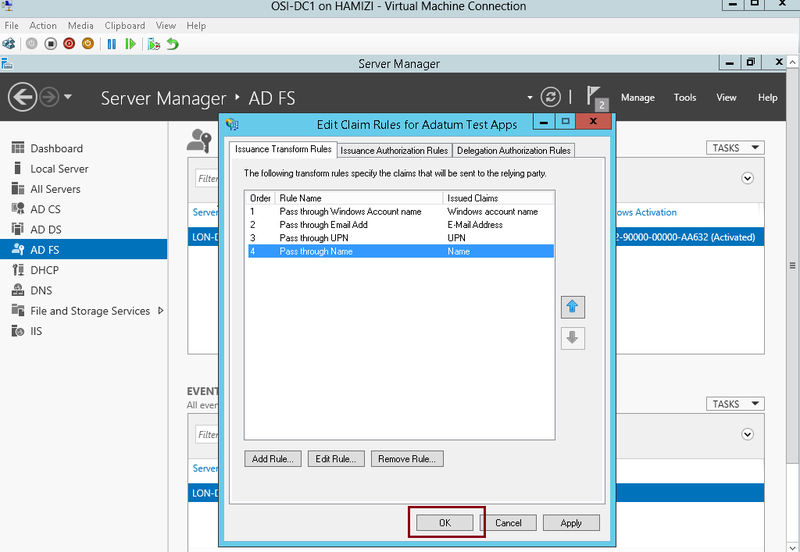 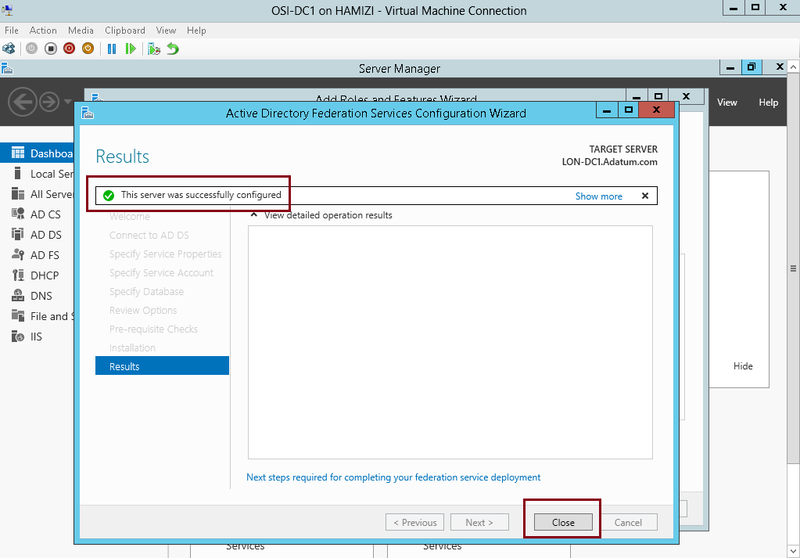 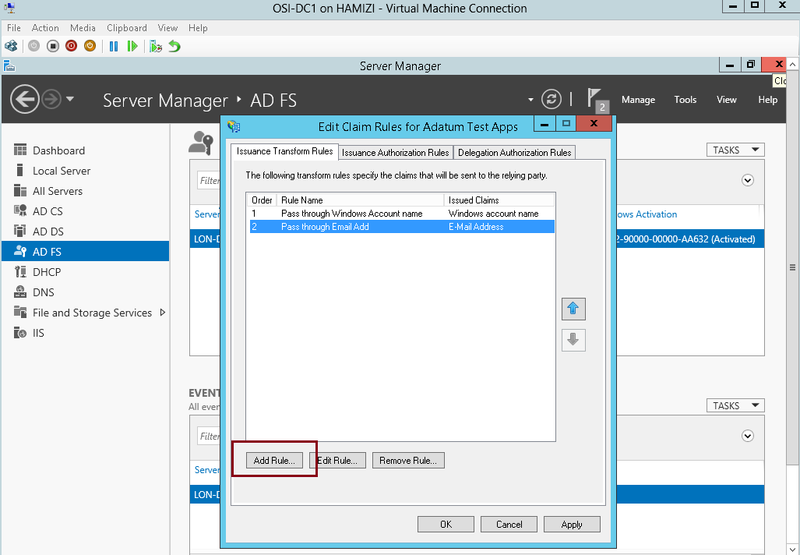 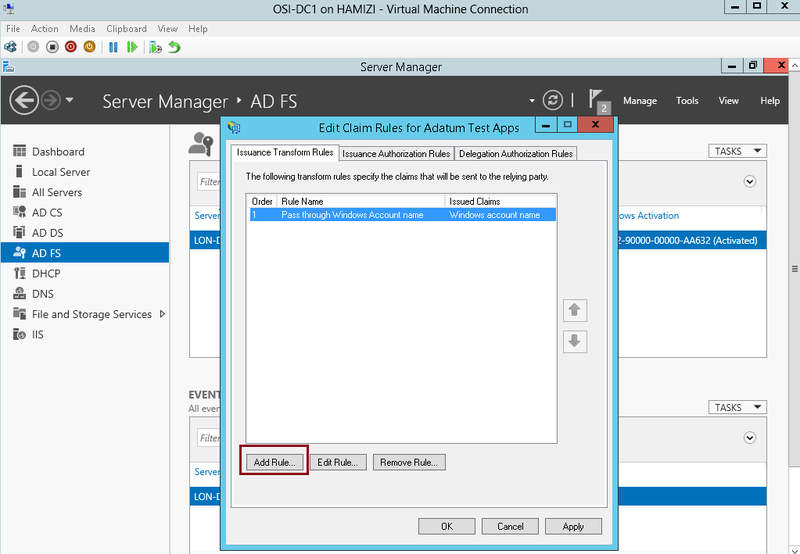 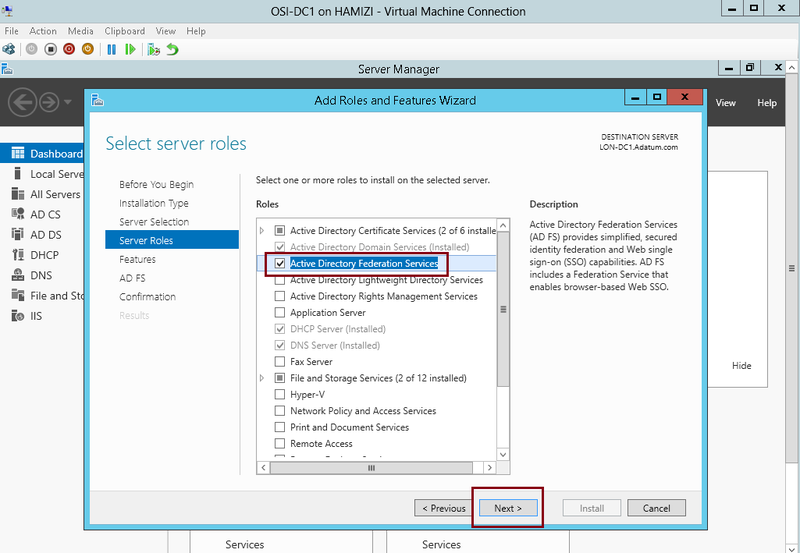 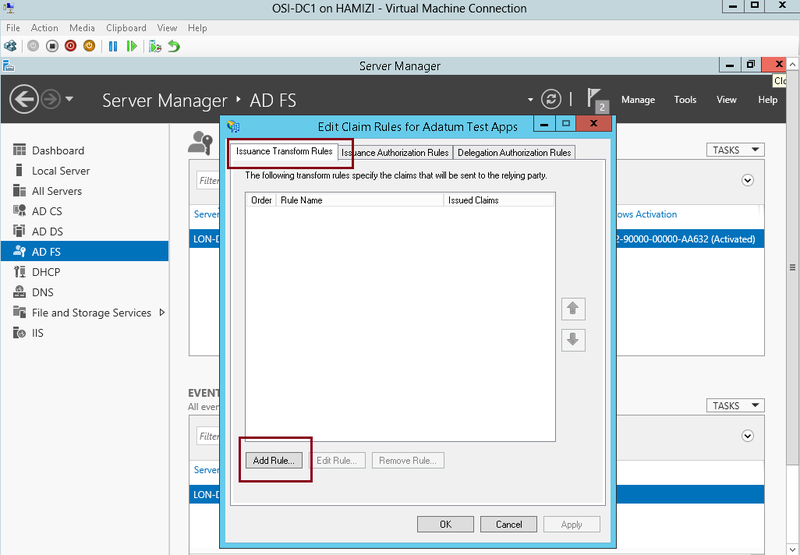 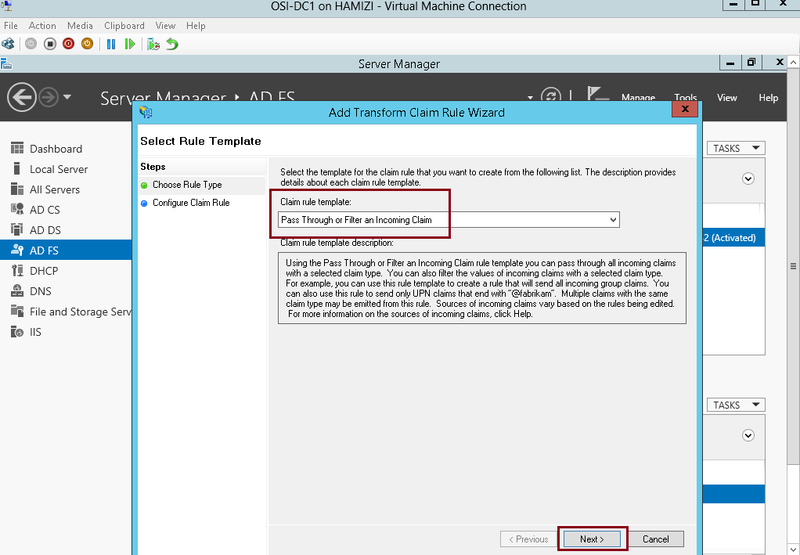 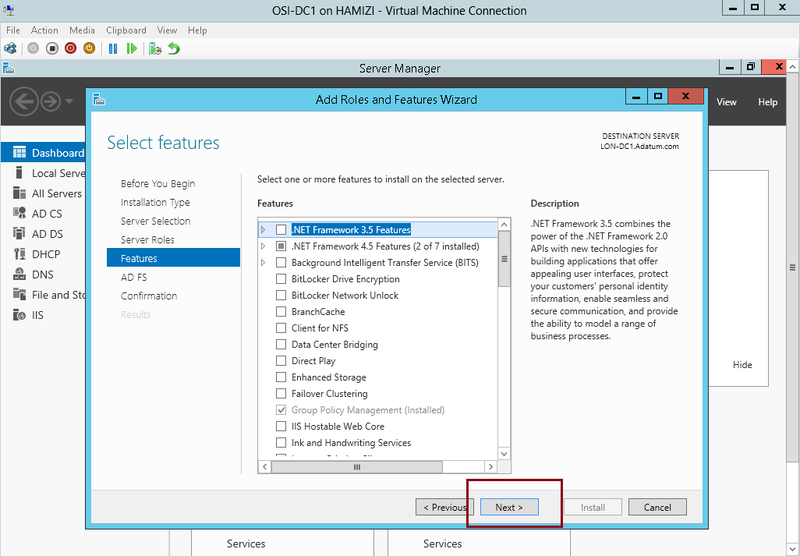 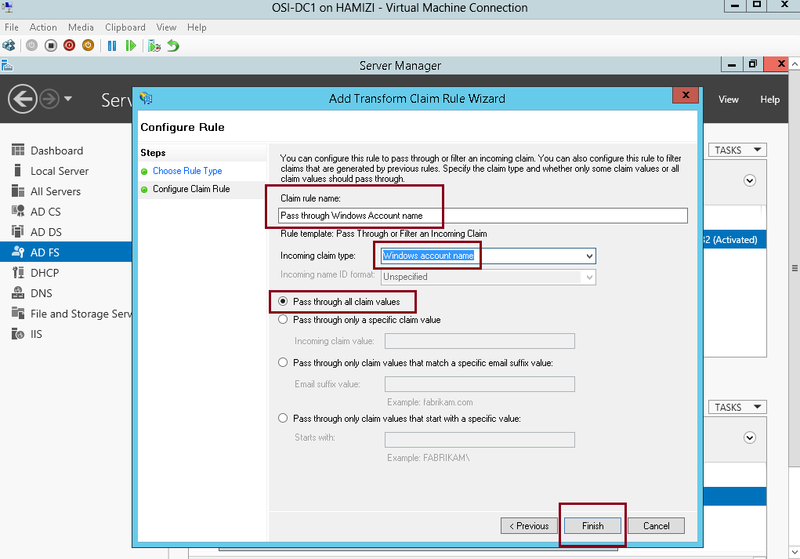 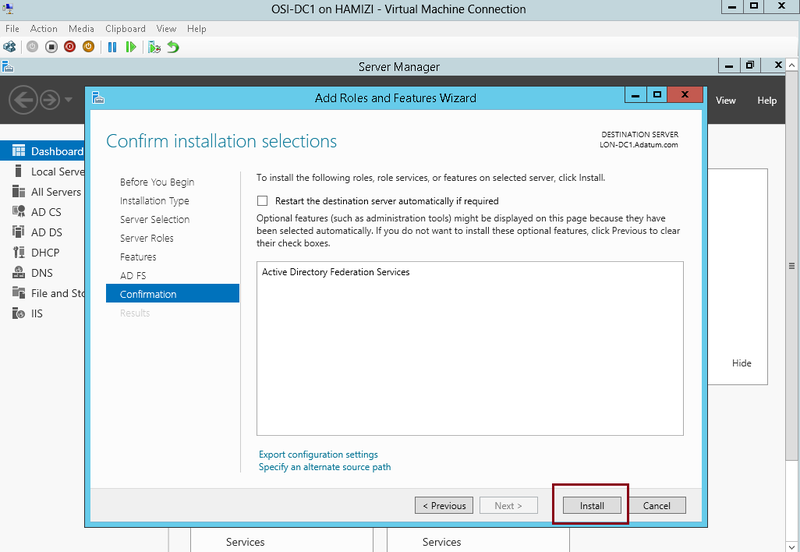 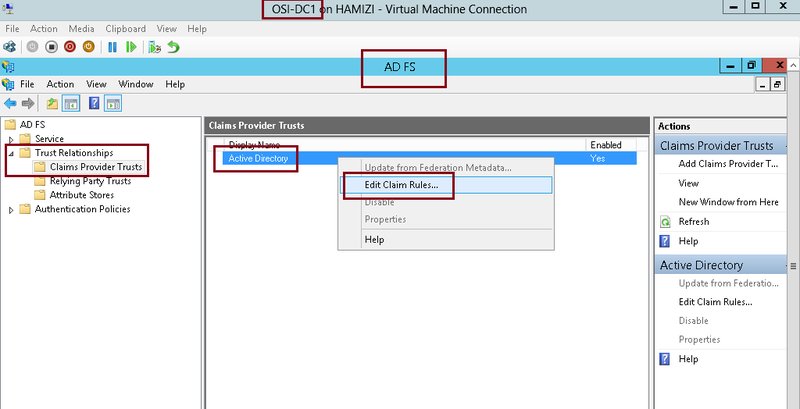 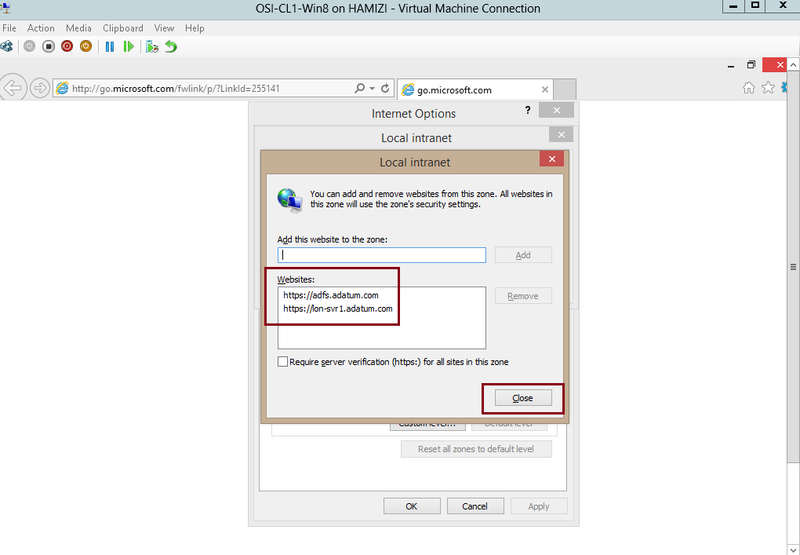 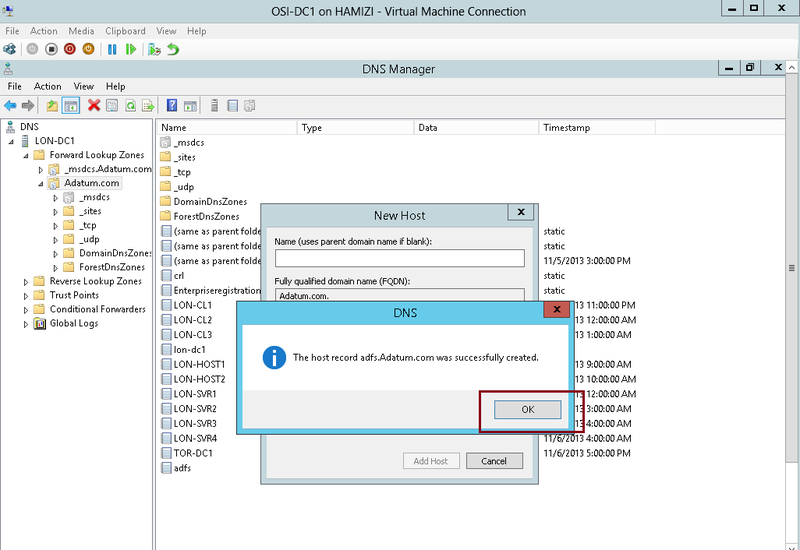 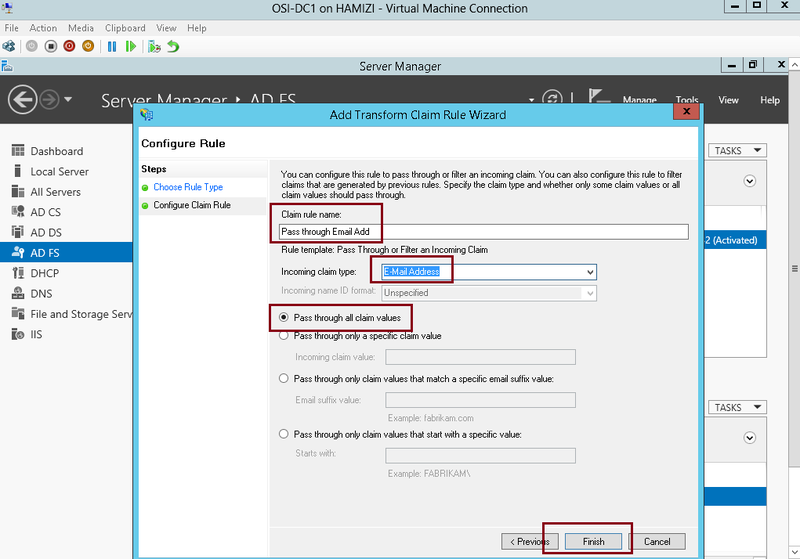 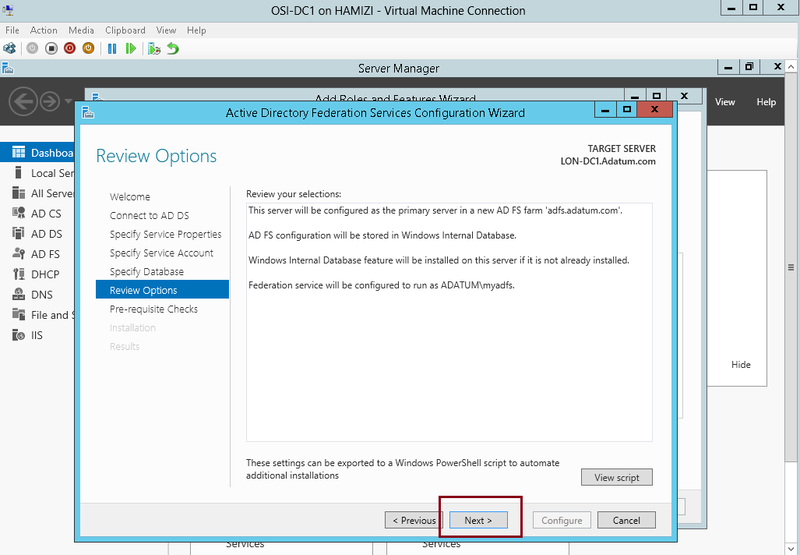 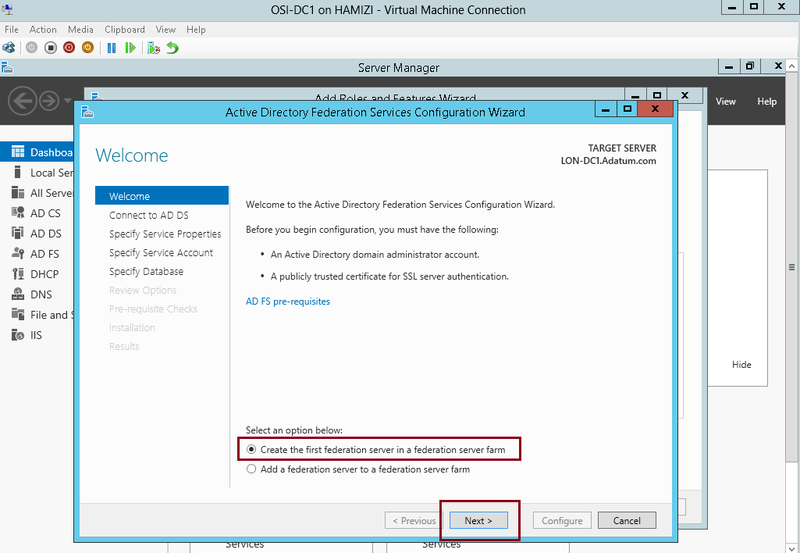 Simple Step : Install & Configure ADFS in Windows Server 2012 R2 | Just a random "Microsoft Server / Client Tech" info.. 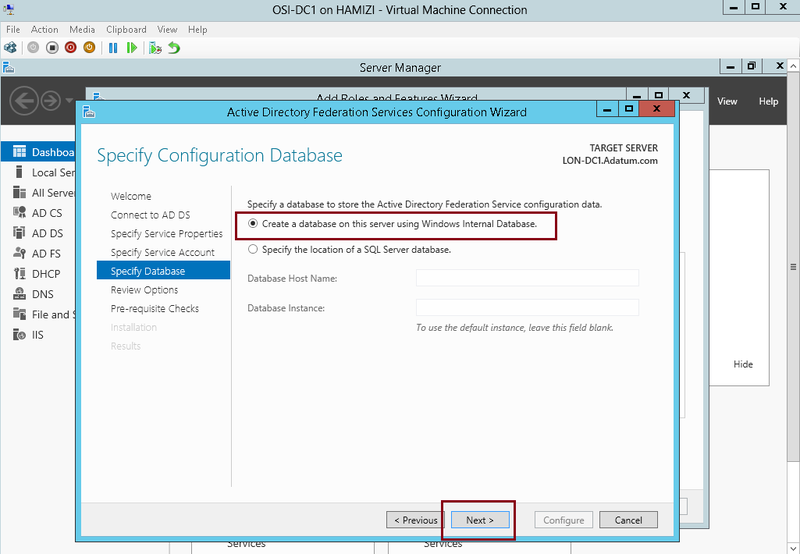 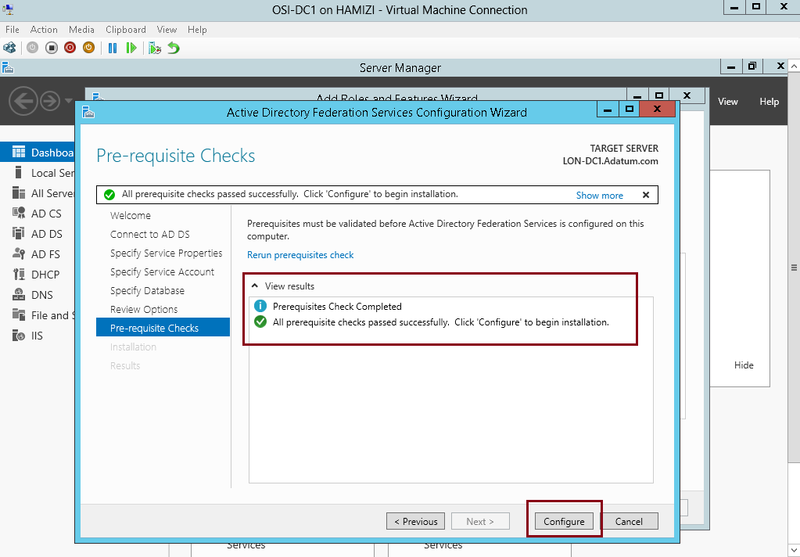 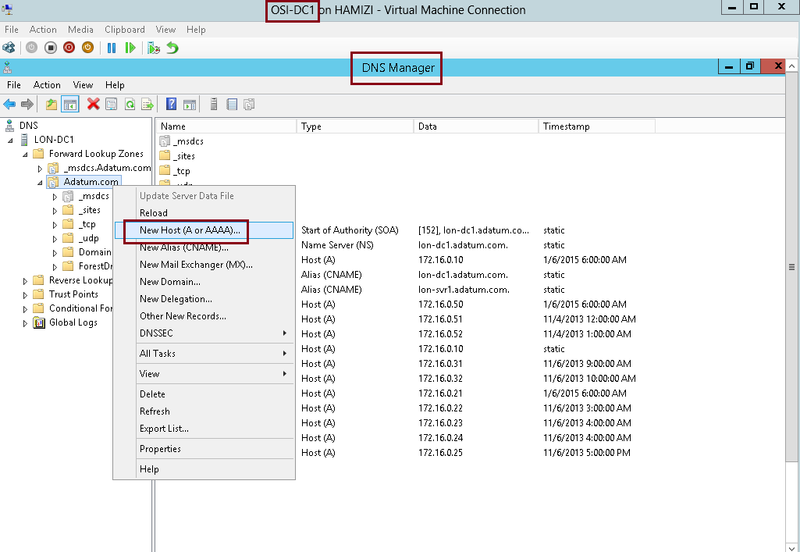 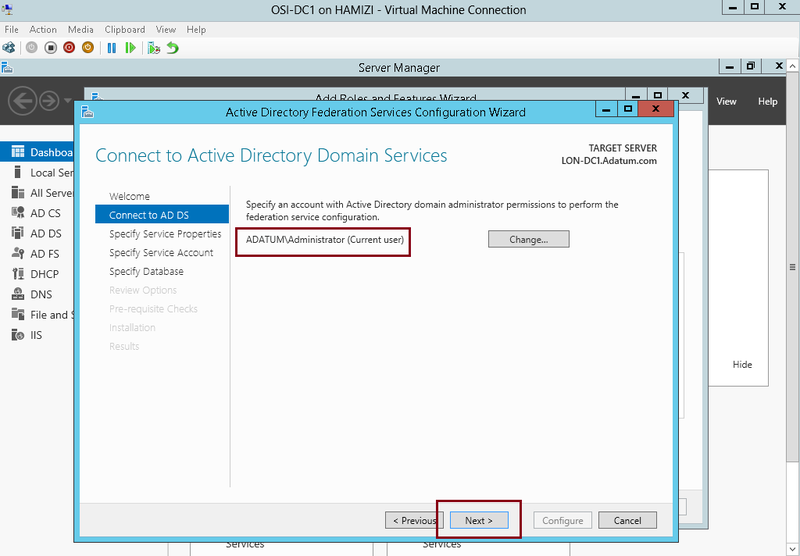 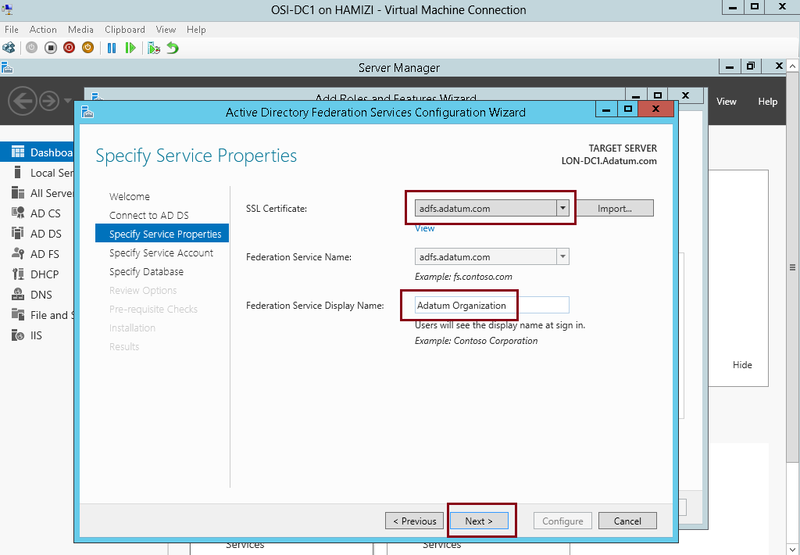 Active Directory Federation Services (AD S) in the Windows Server 2012 R2 OS provides flexibility for organizations that want to enable their users to log on to applications that are located on a local network, at a partner company, or in an online service. 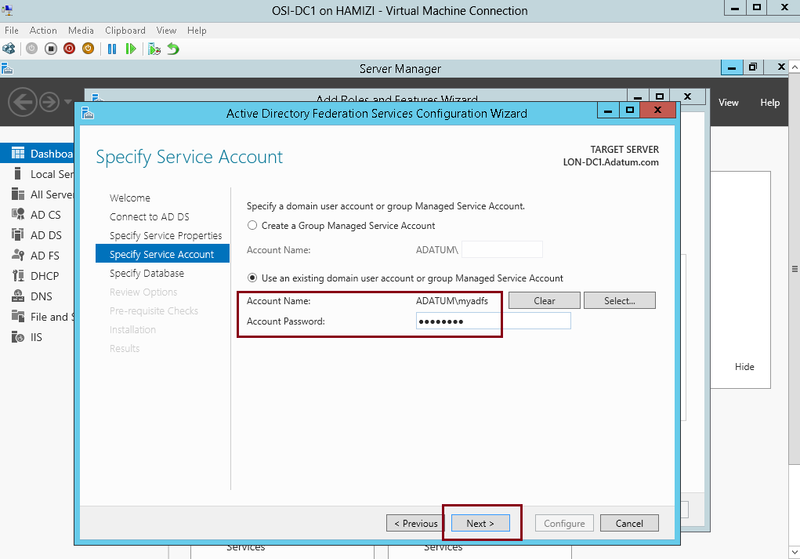 With ADFS, your company can manage its own user accounts, and users only have to remember one set of credentials. 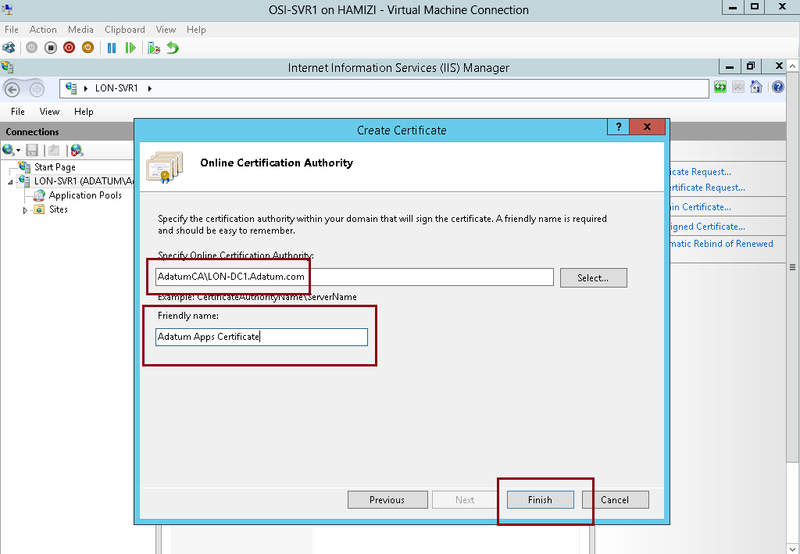 However, those credentials can provide access to a variety of applications, which typically are located in different locations. 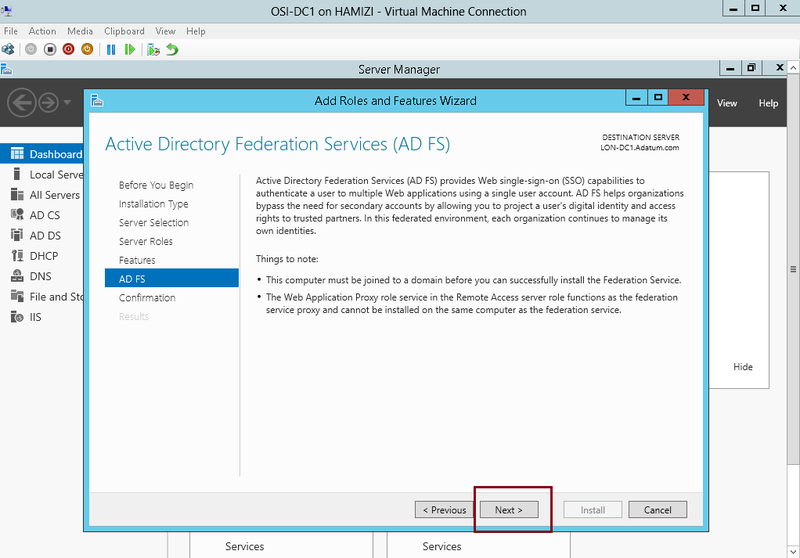 ADFS is compliant with common Web services standards, thus enabling interoperability with identity federation solutions that other vendors provide. 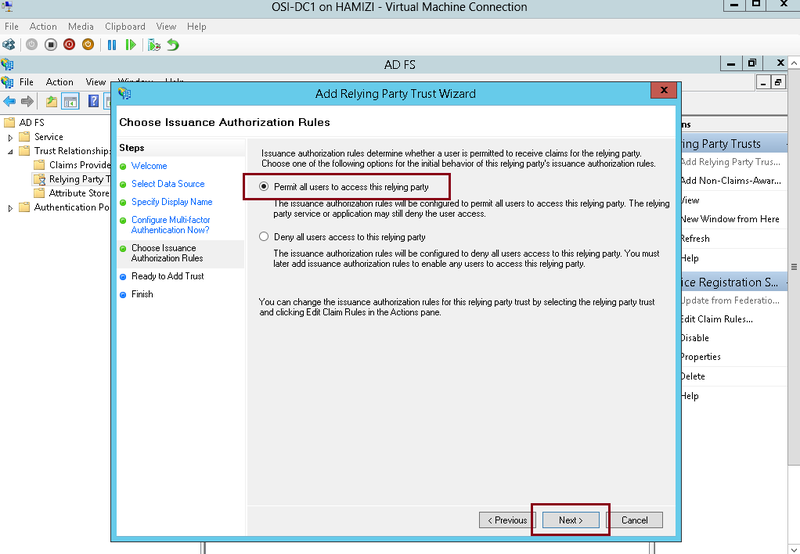 AD FS addresses a variety of business scenarios where the typical authentication mechanisms used in an organization do not work. 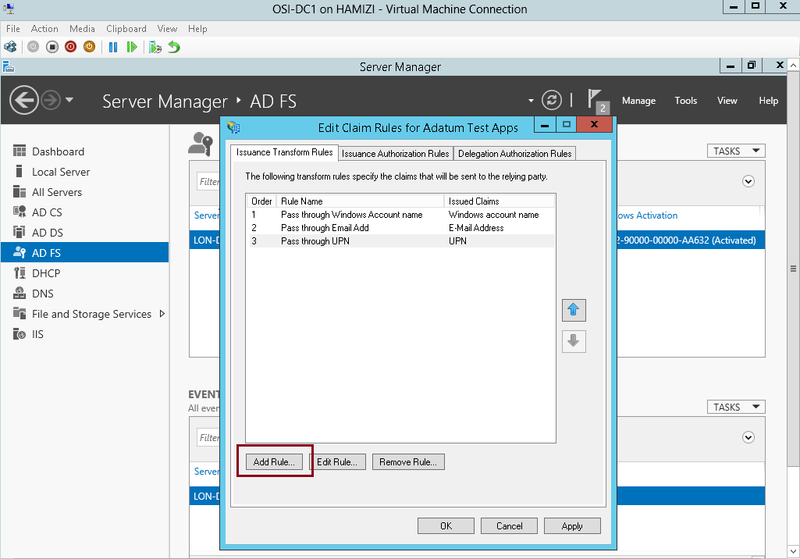 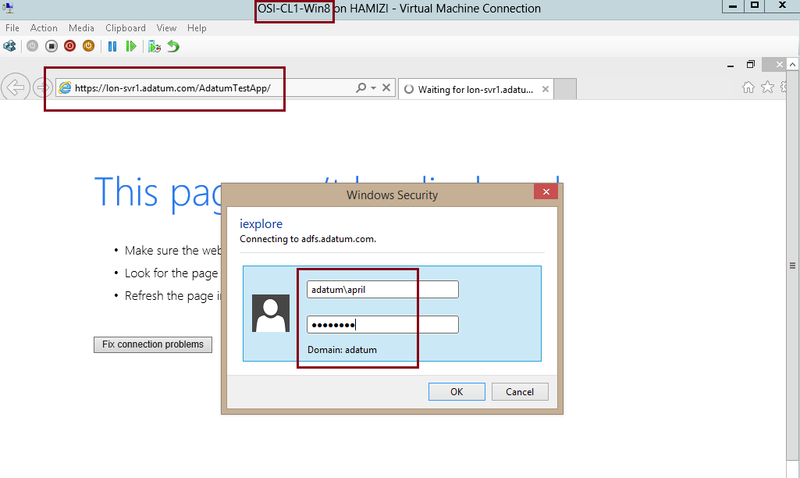 ** Please take note that adfs.adatum.com certificate was preconfigured for this task. 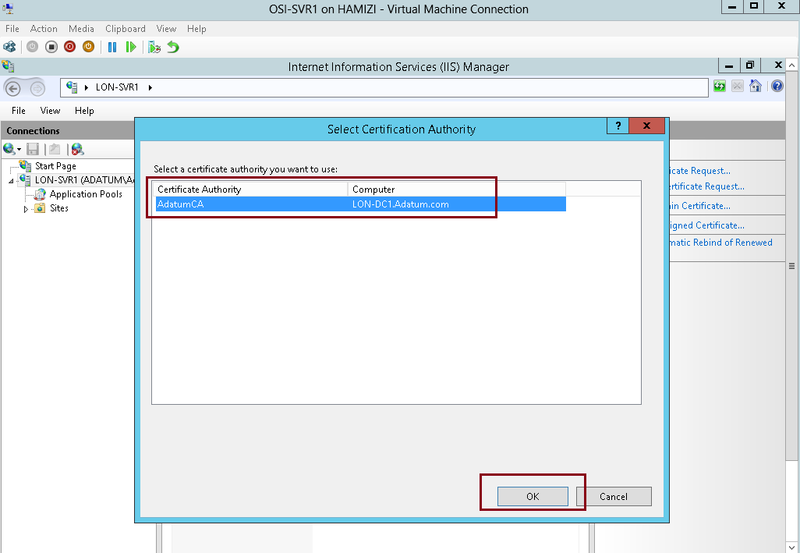 In your own environment, you need to obtain this certificate. 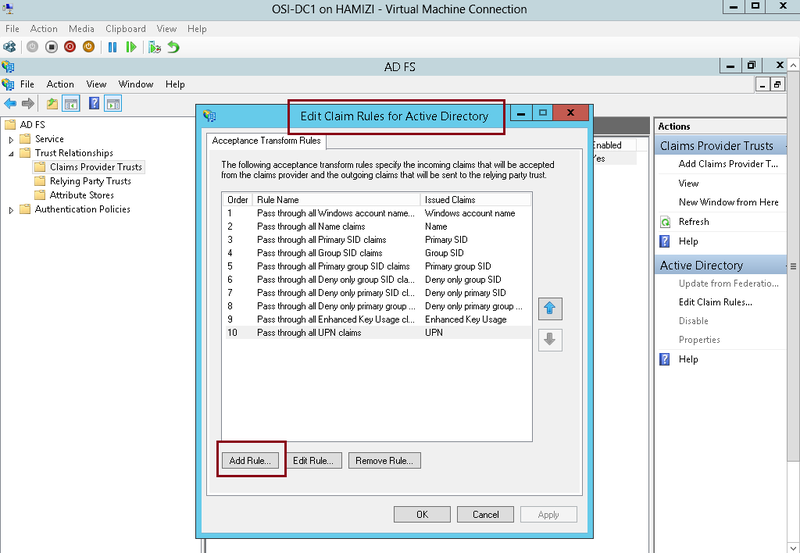 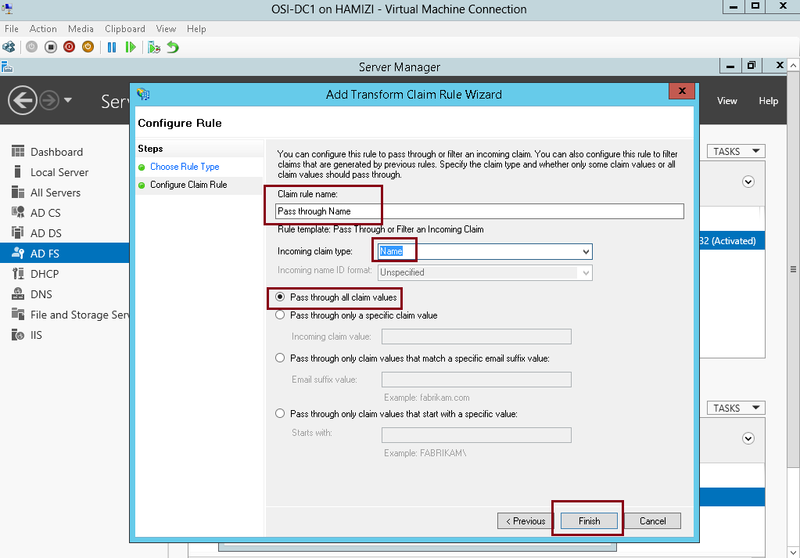 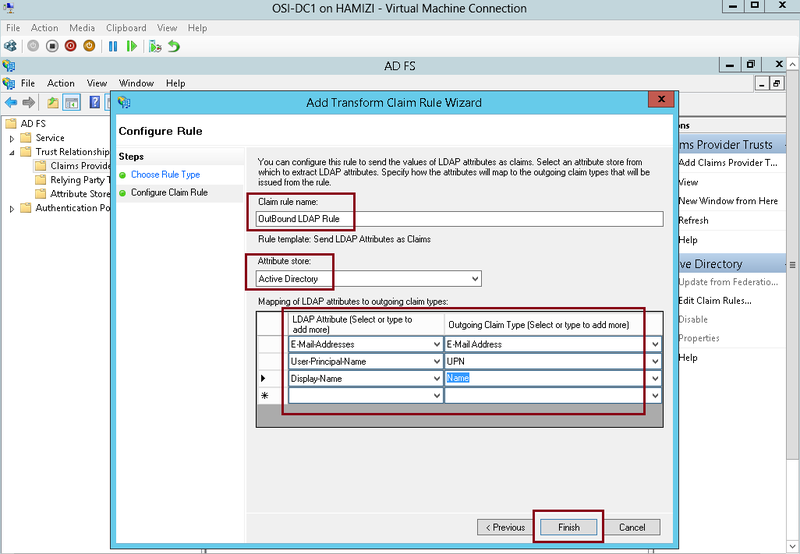 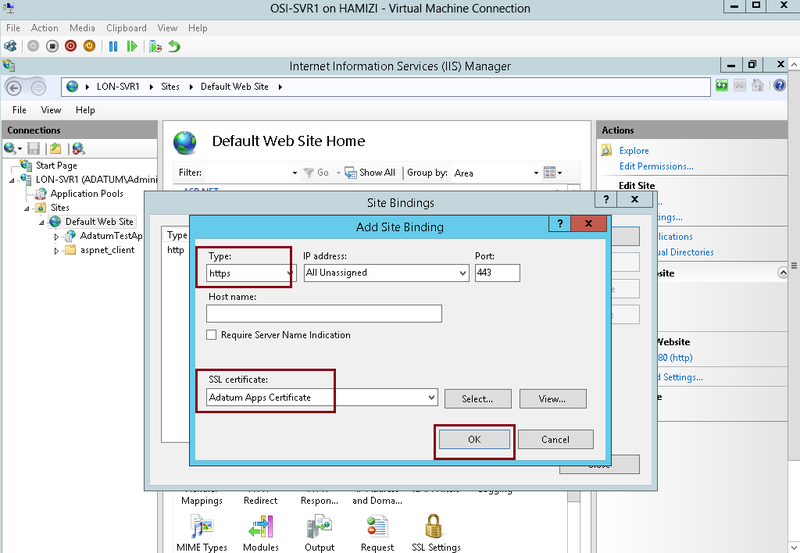 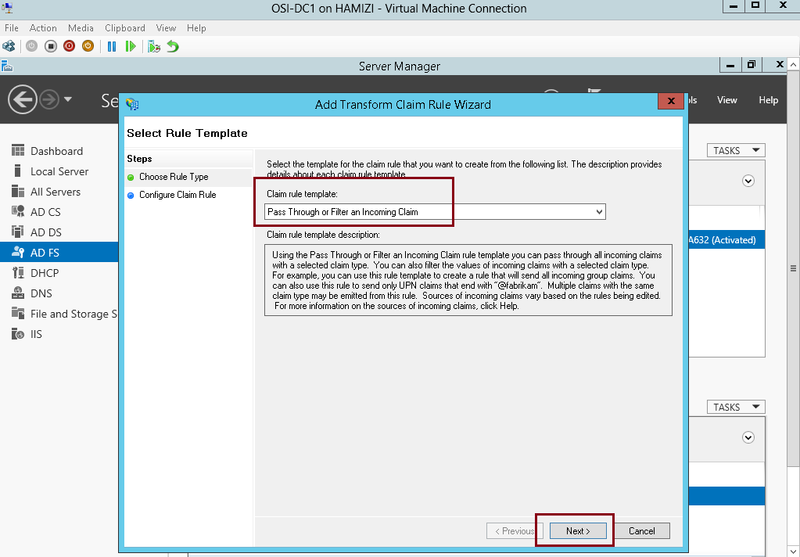 4 – On the Configure Rule interface, in the Claim rule name box, type Outbound LDAP Rule, then in the Attribute Store drop-down list, select Active Directory. 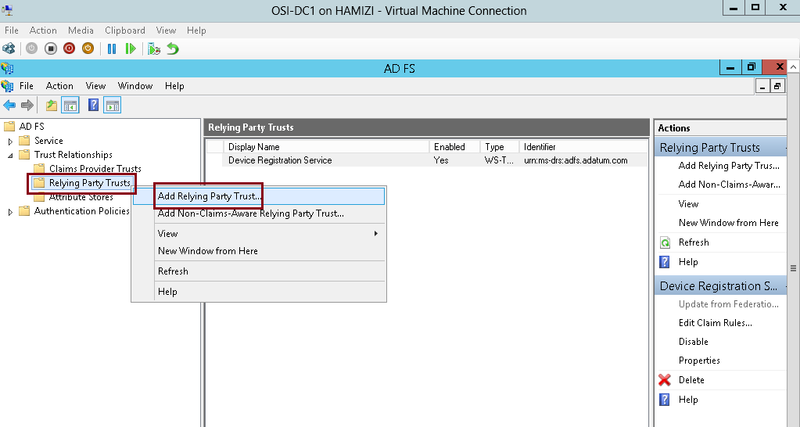 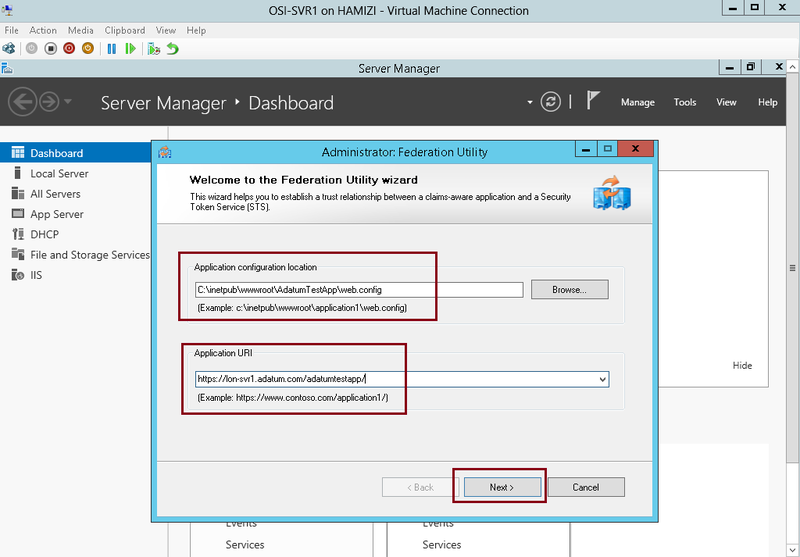 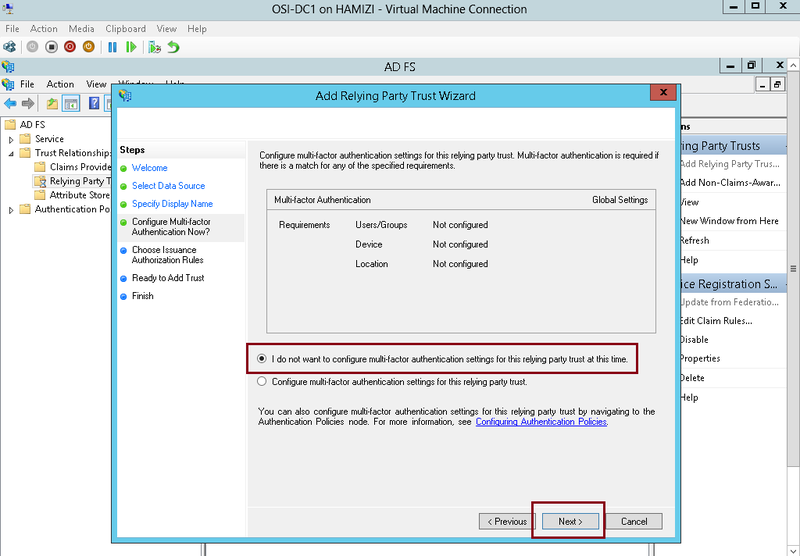 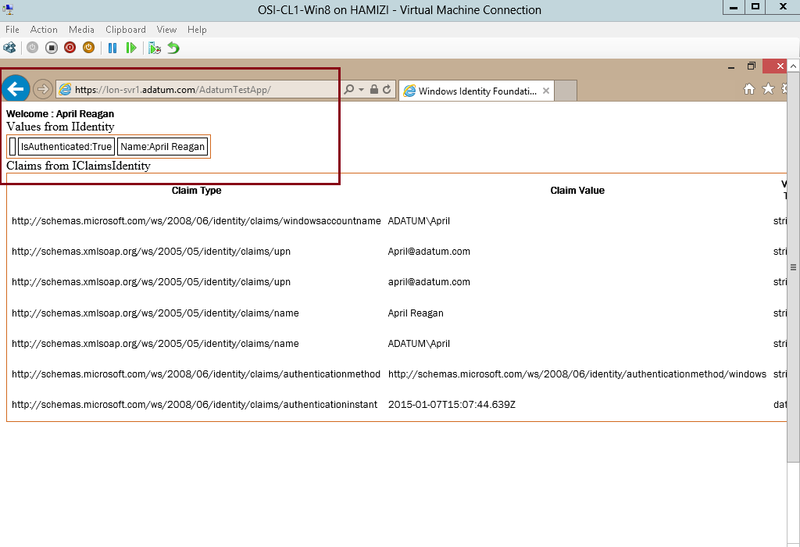 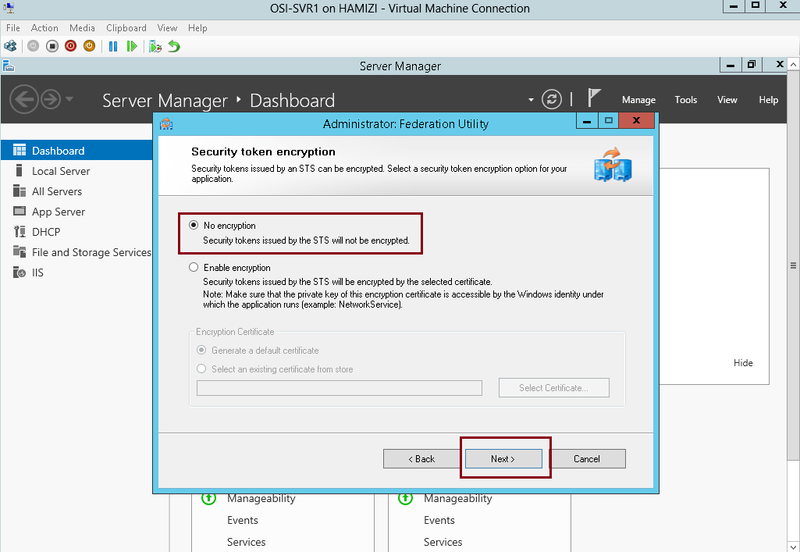 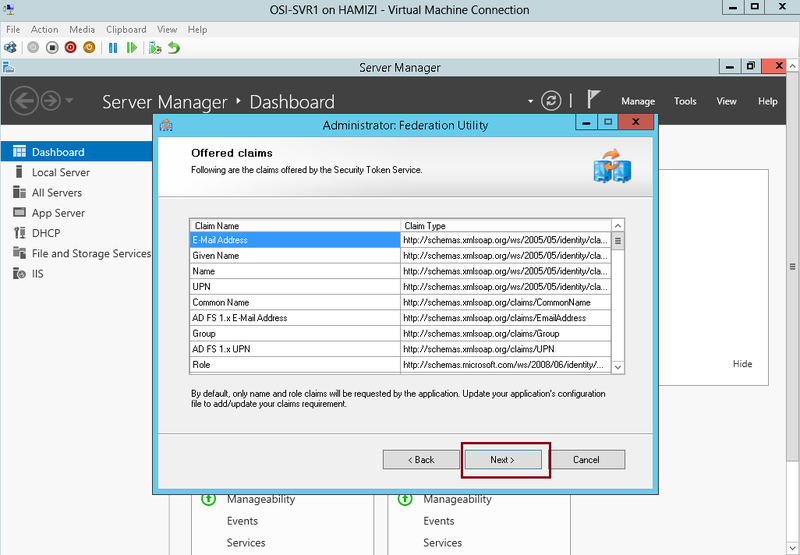 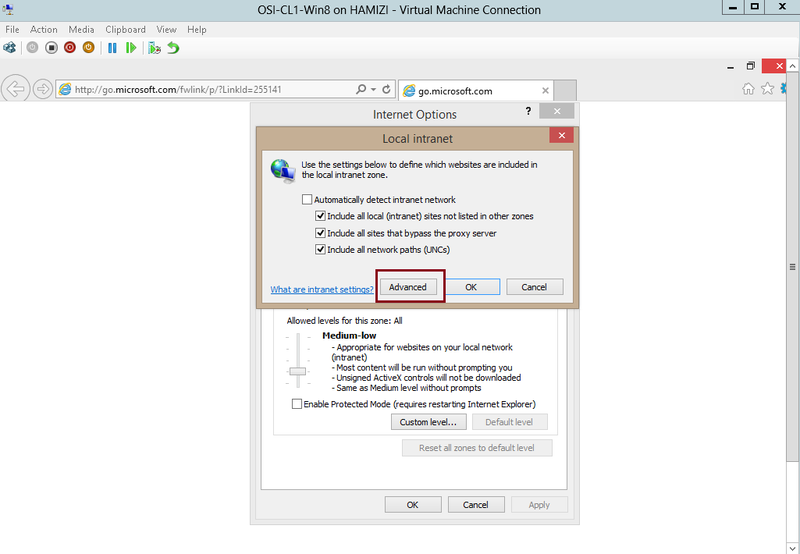 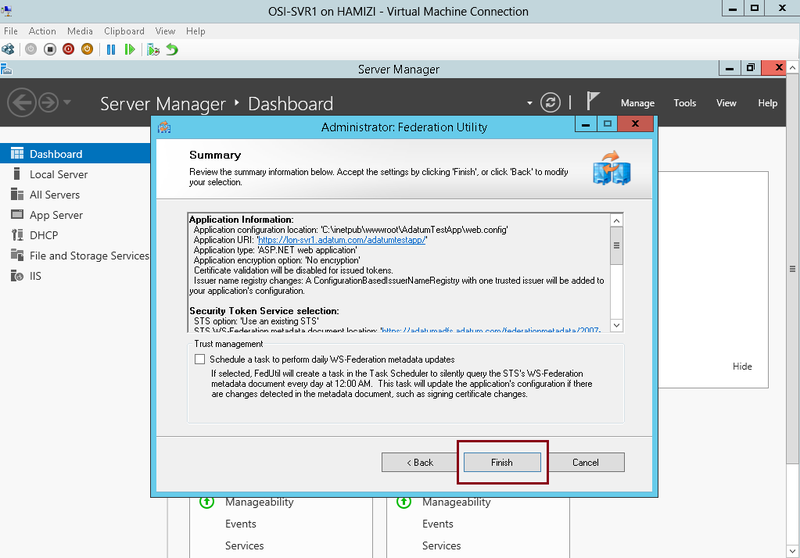 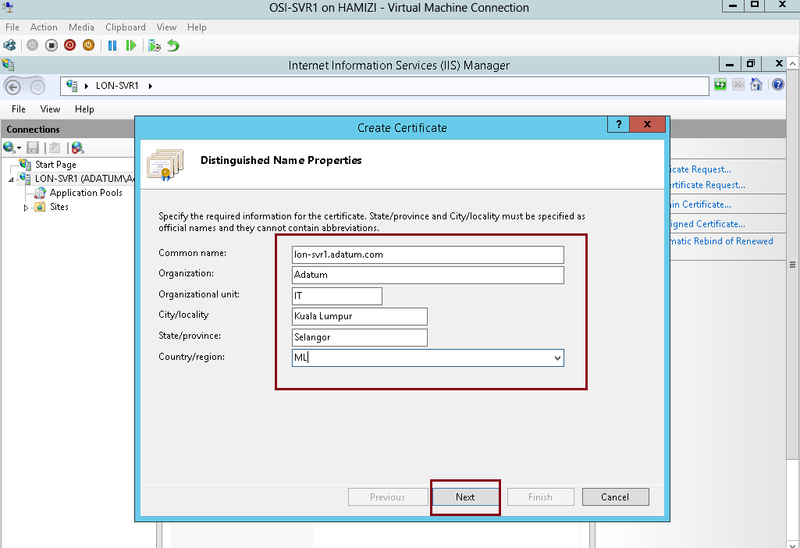 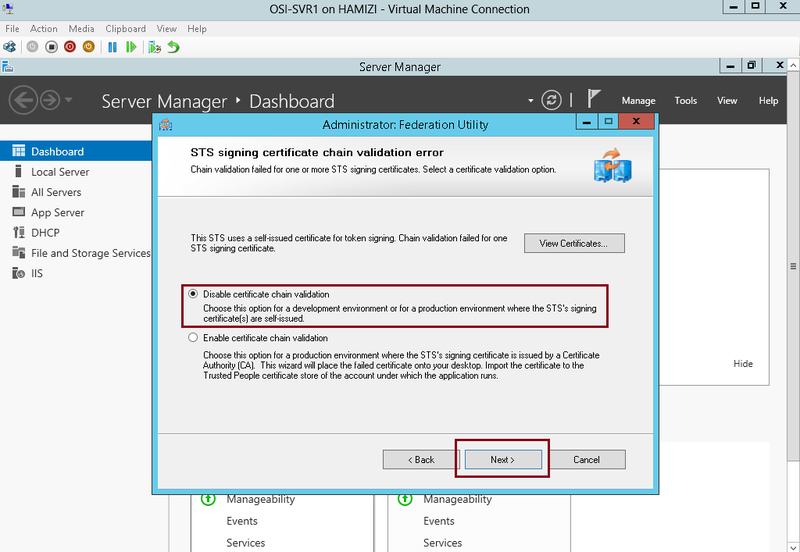 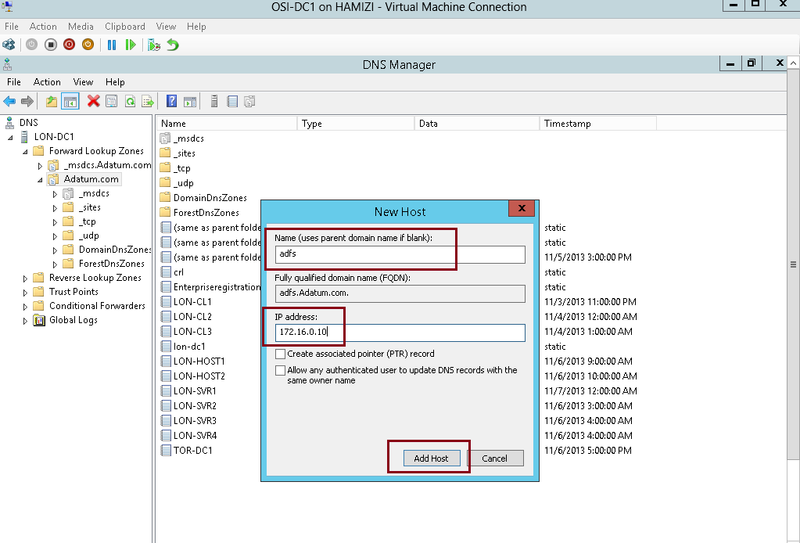 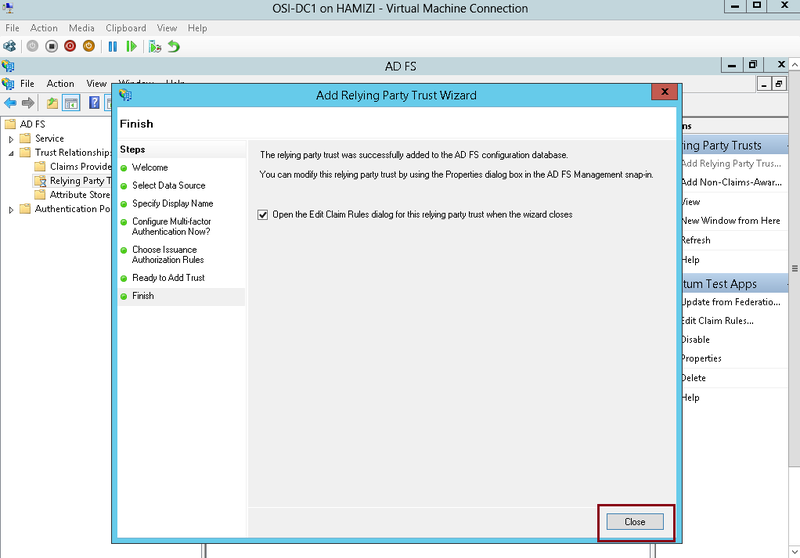 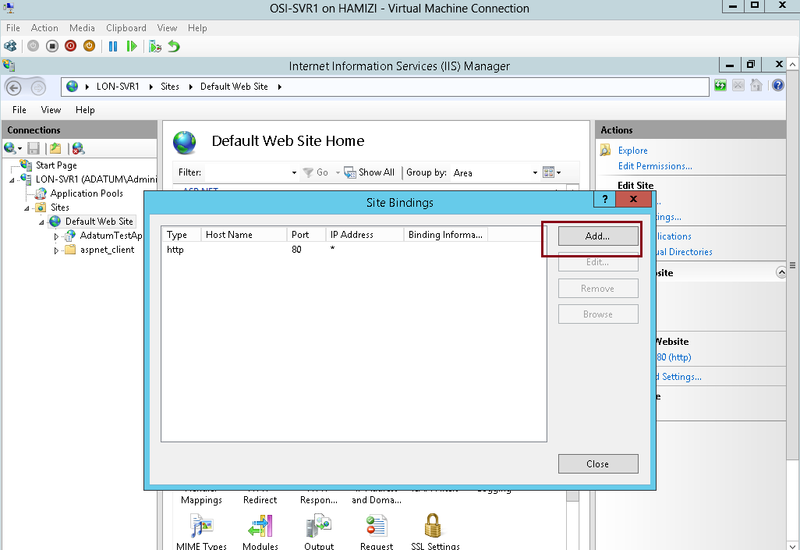 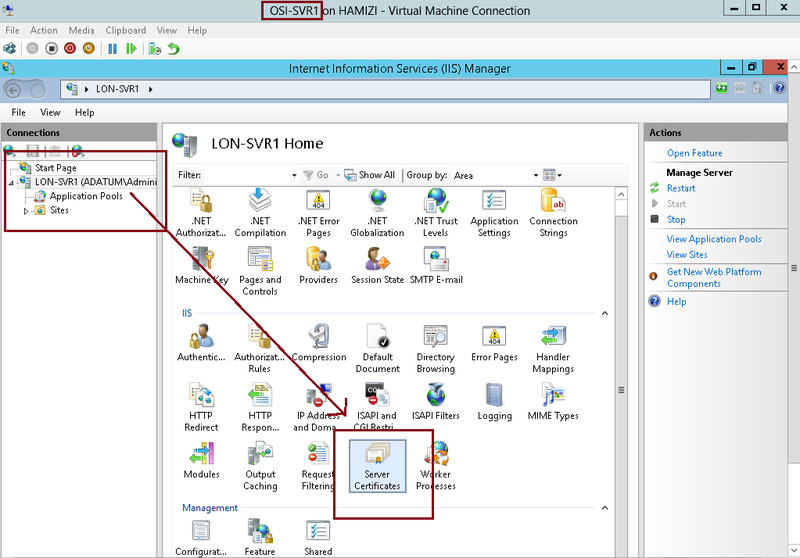 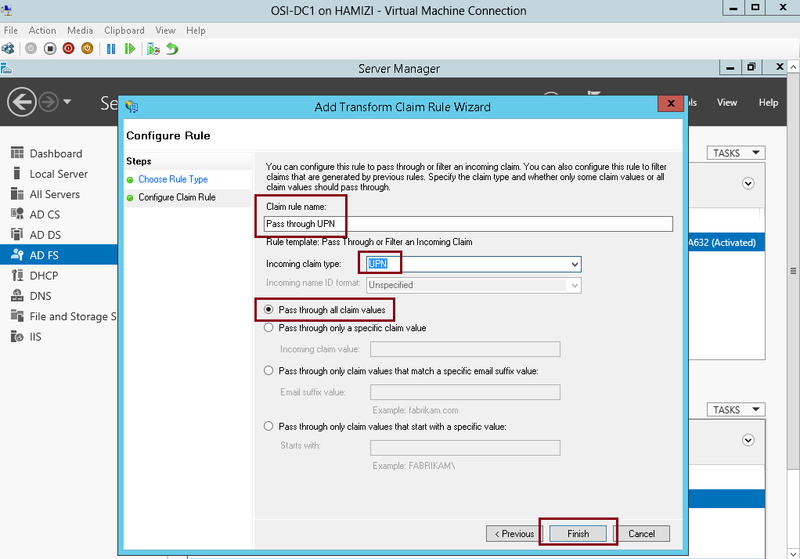 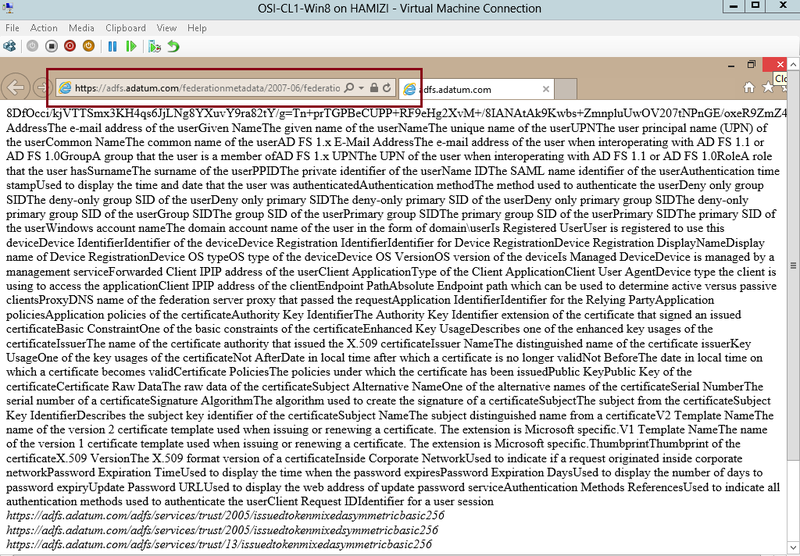 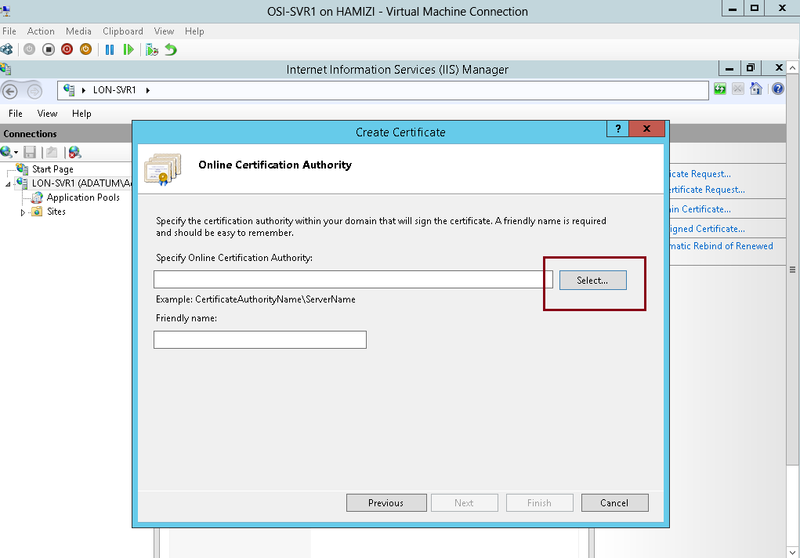 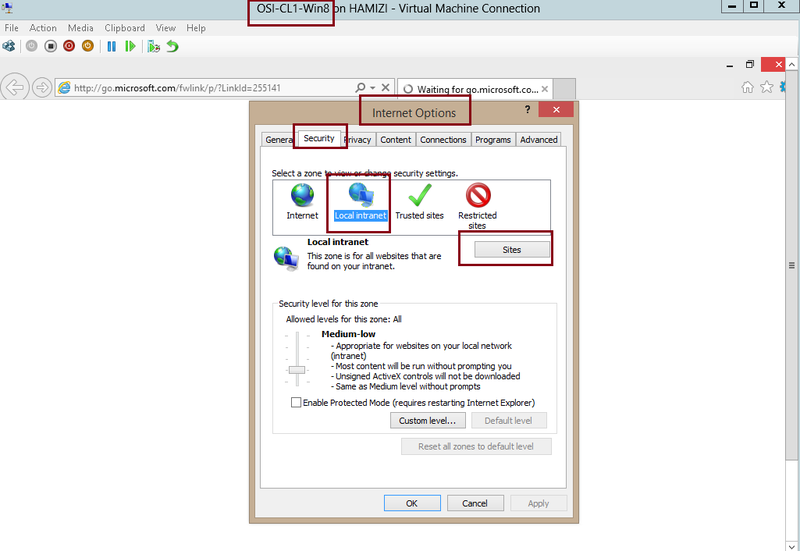 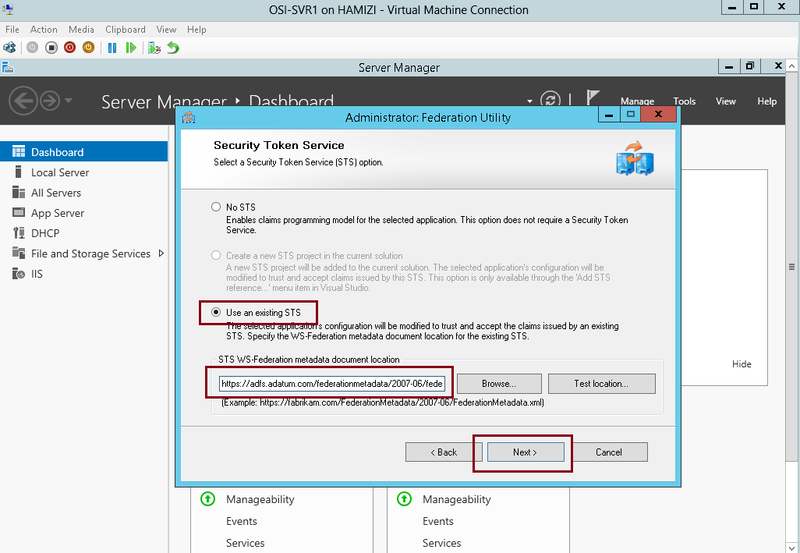 1 -Switch to SVR1 server, and then open Windows Identity Foundation Federation Utility console…. 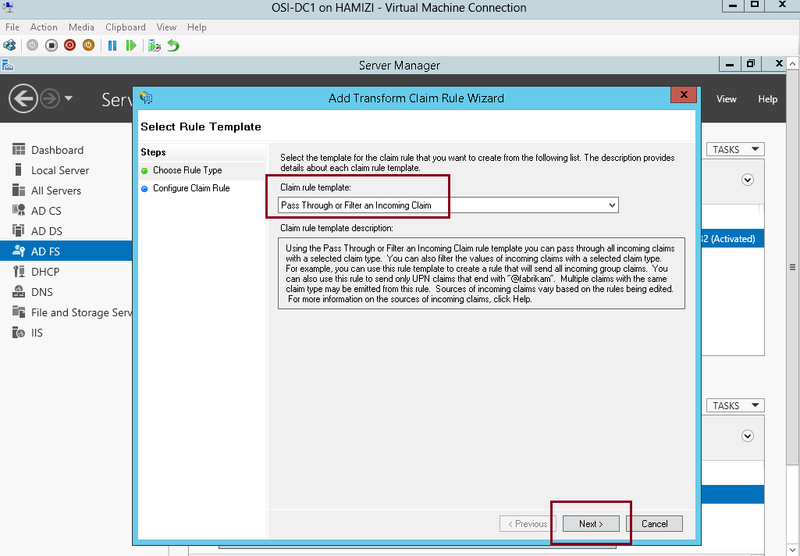 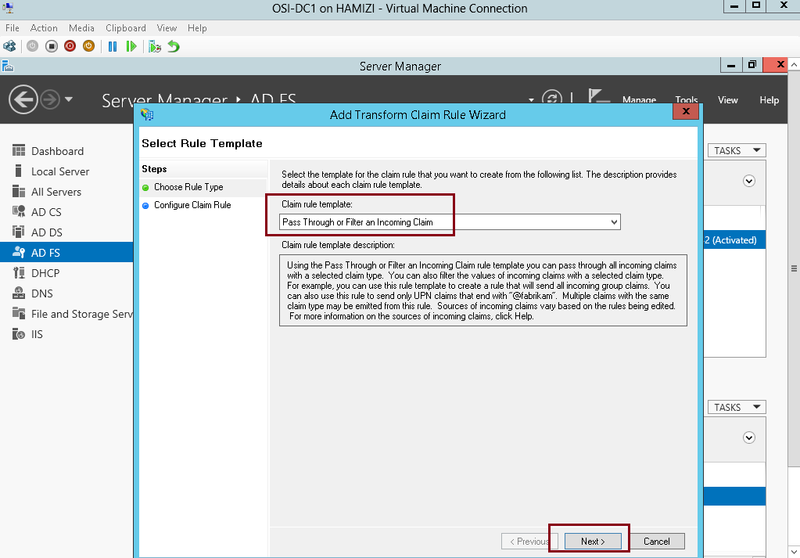 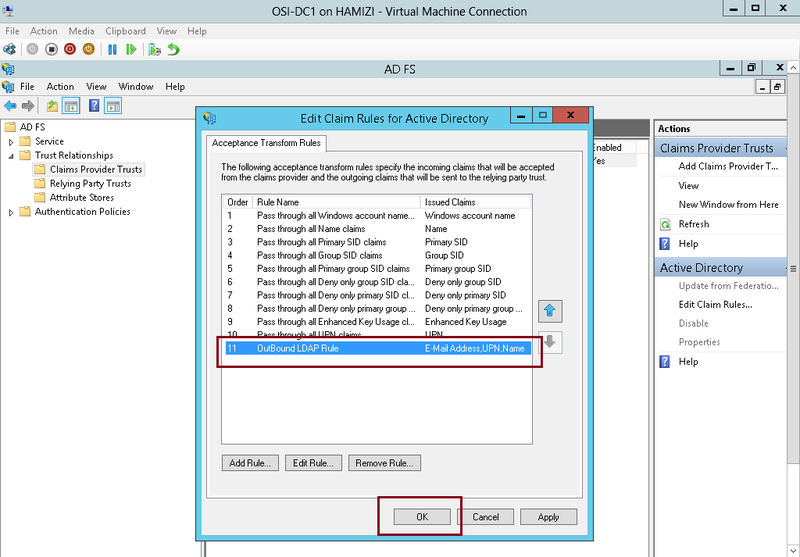 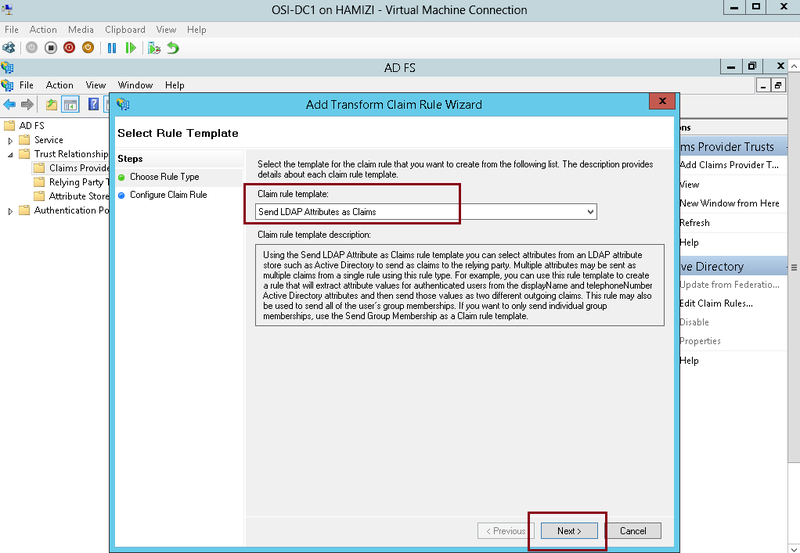 15 – verify that the claim information is displays….